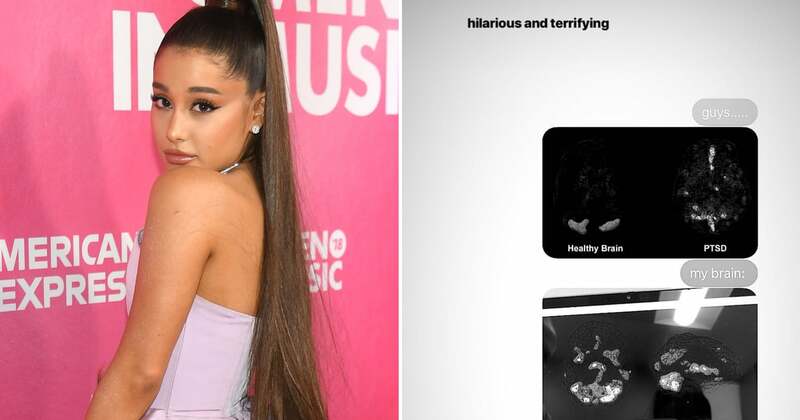 Ariana Grande has been very open about her mental health struggles following the Manchester bombing at her concert in 2017, but now, she’s showing fans a deeper level of her post traumatic stress disorder seen in brain scans. 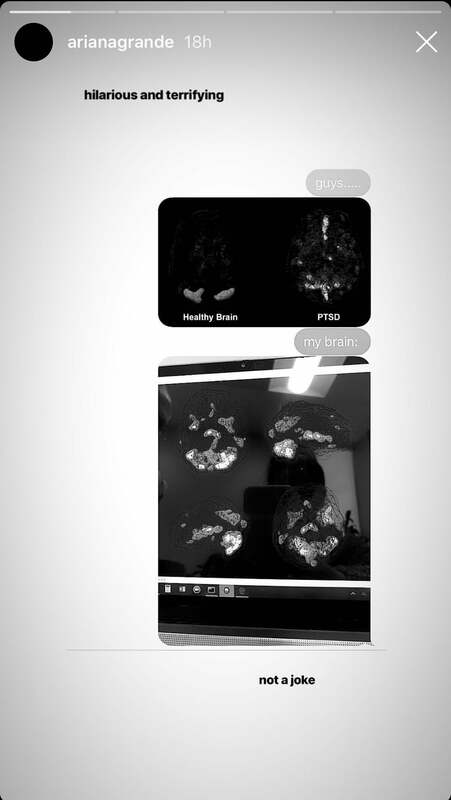 On Thursday, Ariana posted a photo to her Instagram Story revealing what a “healthy brain” and a “PTSD brain” look like. “Guys. . . . .” she addressed what appears to be a group chat. Just like the “PTSD brain,” Ariana’s own brain scans show many highlighted areas. “Hilarious and terrifying, not a joke,” she wrote.